Minimize the chances of skin irritation, scars and burns by avoiding multiple facial services and obtaining a facial history from the patron (i.e., skin allergies). Technician should be a licensed cosmetologist or esthetician. Do not give a facial over skin that has had multiple services (i.e. facial waxing) to avoid irritation, or worse, burns. 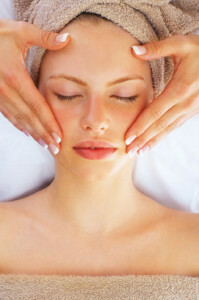 Always obtain a history from the patron before giving the facial (i.e. suffer from acne – taking any medication; is patron allergic to fragrances, etc. ; using glycolic acid). Failure to do so could result in burns/scars. Use extreme caution when using heating elements (i.e. heat lamps) to avoid burns on the patron.